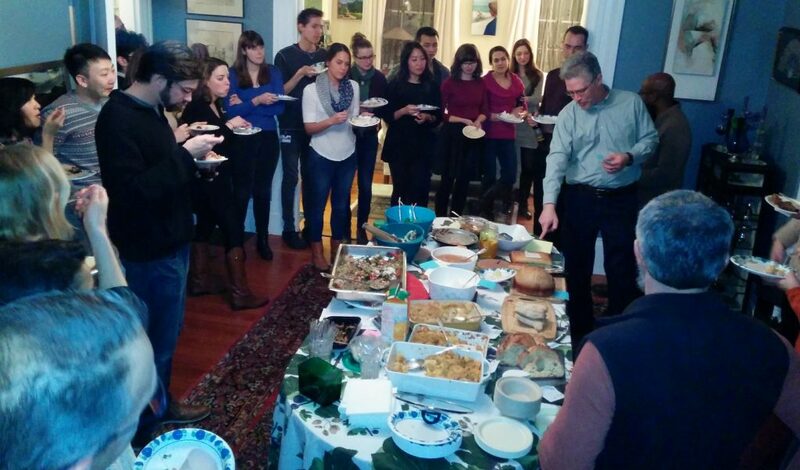 Our fifth annual class potluck this week was terrific. We do love our food! For this year, we were able to schedule the dinner immediately after introducing the idea of optimization in food choice. 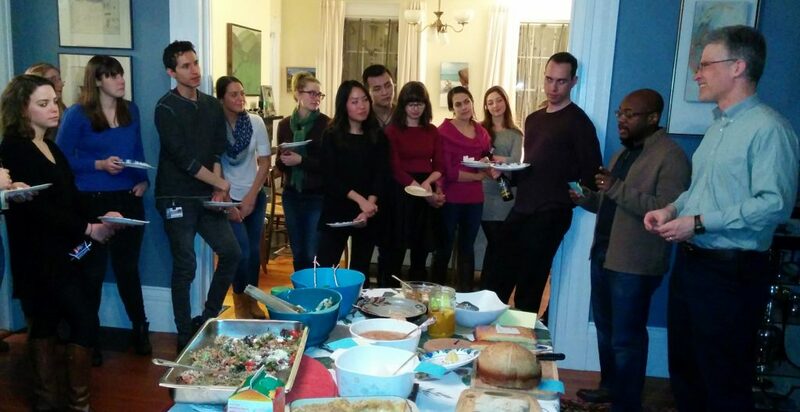 The class had just completed a data-analysis exercise using the famous least cost diet problem, looking for combinations of foods that just meet daily nutrient needs at lowest total expense. In NUTR 238 we do the diet problem by hand using spreadsheets, which reveals an amazing fact about food choice: even well-trained nutritionists armed with all the latest data, when asked to solve this problem, consistently choose foods with much more protein and higher cost than humans’ daily requirements. We cannot resist choosing dietary patterns that meet energy needs with expensive protein instead of fat or carbohydrates, and with too much of some nutrients and too little of others. This demonstrates vividly how and why people don’t just count our way to nutrient adequacy. To explain, predict and improve food choices, we need to understand nutrients and then think beyond them to other objectives and constraints. (4) Meaningfully, with the most cultural significance for the community. We had four expert judges: Sean Cash, Anna McAlister, Parke Wilde and Norbert Wilson. After much tasting and deep deliberation they decided which lucky students won their share of the world’s favorite treat. 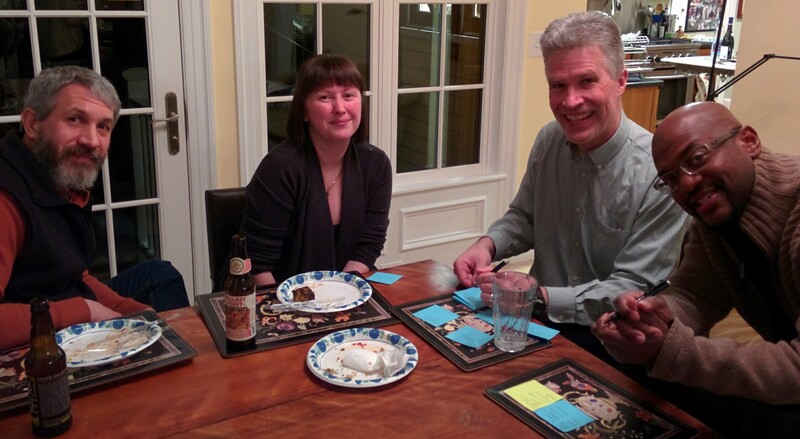 The judges explained how everyone’s dishes succeeded at meeting their diverse goals with such panache that I’m not sure about who actually took home the chocolate… which, I suppose, is the point. We’re just starting week 5 of the semester, and have so much more to discover! Boston Network for Intl. Dev. Thanks for the visit. For more, please check out related work at Will Masters' website. © 2015 FoodEcon is a public blog for NUTR/NUTB 238, a graduate course at Tufts University's Friedman School of Nutrition Science and Policy.